Centauro is a robot which is developed by the European Union Research Project lead by a German University of Bonn and other partners from the Italy and Sweden especially for handling the disaster situations. Multiple disaster scenarios are clearly showing that today’s disaster response robots are not capable of providing the sufficient needed support in order to rescue workers. But this technology of the researchers focuses at the development of a human robot symbiotic system in which a human operator is tele-present with its whole body in the Centaur like robot and capable of strong movements and adapts control in the rough areas. 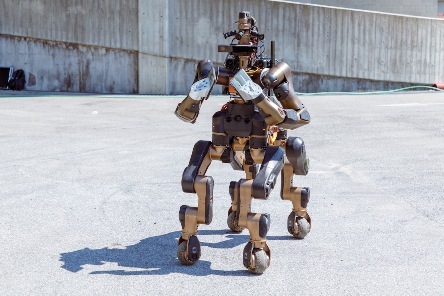 This Centauro robot consists of a four legged basis along with an anthropomorphic upper body. It will be driven by the lightweight compliant actuators and will be able to navigate in affected man made atmosphere. It also includes buildings and stairs that are cluttered with the debris and partially collapsed. Centauro is capable of using various human tools in order to solve the difficult controlling tasks like connecting something or opening a valve for relieving the situation. This robot will be controlled by the human operator efficiently by using a full body tele-presence suit which provides visual, auditory and upper body haptic feedback. The rich sensors will be able to provide the necessary situations awareness. For the routine manipulation and navigation tasks, the autonomous skills will be developed which will allow for taking the operator partially out of the control loop. The Powerhand VRS 200 is helpful in performing the monotonous jobs of metal extraction involved with the car disassembly. As we know that traditional manual methods of removing high valve materials form the ELVs means End Life Vehicles are labour intensive and also expensive and in many cases, it makes the process economically unviable. But the Powerhand VRS 200 is an efficient process which produces a greater yield in comparison with the manual metal extraction. 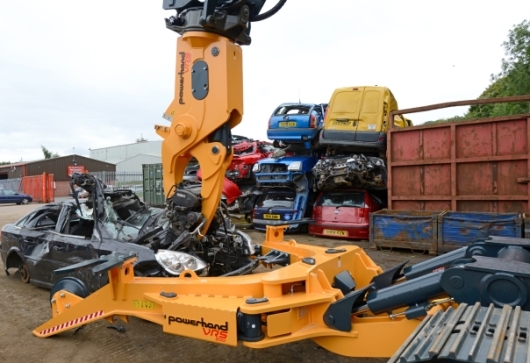 Although a four tine scrap grab will be helpful in extraction of the engine but much of the added value materials are left behind which results in the end of life vehicle dismantler missing out a potential profit. In addition to the benefits gained in terms of its parts construction, it also possesses high power hydraulic cylinders inside it along with high torque rotation unit which is helpful in assisting efficient and precise vehicle dissection. It also has the knife blades on the clamp arms which aloe engine and transmission assemblies to be split from the engine block. This Powerhand VRS 200 is an ultimate solution in terms of power and dexterity. It features a slender which provides an efficient line of sight from the operator to the vehicle and it also allows valuable materials such as copper wiring loom for being extracted from the tightest of areas. Through the Powerhand VRS 200, there is an easy extraction of the copper wiring loom from the vehicle. Its high power cylinders and high torque rotation unit are helpful in giving the VRS power for effortlessly dissecting the vehicle. Now there is Rotimatic which allows us to produce our own flat bread regardless of our cooking skills. Through we find loaf breads easy to churn out with the help of standard breads machines but for those, who are waiting for something different in terms of bread selection, Rotimatic can be the nice alternative for them. It s fully integrated solution which measures, mixes and kneads, flattens which means now there is all in one. The whole process from starting to finish is extremely fast due to smart machine’s advanced technology through which significant results can be achieved. Now we are in charge of whatever goes into our flatbreads as we need is flour, oil and water and no more additives, chemicals or preservatives like frozen foods. With the much convenience in mind, this Rotimatic possesses the Wi-Fi connection capabilities which are safe and also equipped with a generous amount of storage containers. 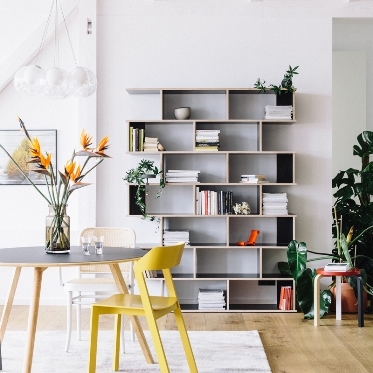 This device was designed as a platform in order to make any type of flatbread. It connects to the internet and upgrade. 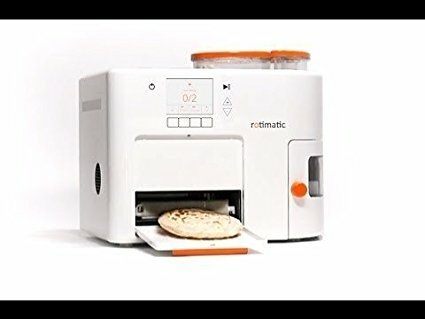 Now we can enjoy the rotis by just touching of a button and it can be cleaned up easily with two removable dishwasher parts. Its essential thing is with all the features that add more variety to our table and parties. that it is easy to use. Every roti is round as well as evenly cooked and puffed with 3 separate layers. This Rotimatic has been built with the smart technologies so it is able to learn with every new roti. We are imagining a machine which is collecting eggs from the tray and separating the egg yolks from the egg whites automatically. It seems quite a different task but it has become a reality now in the form of Egg Breaker RZ-6 by OVO-TECH. It simplifies the most delicate and annoying task of separating egg yolks from the egg white with the help of 2-3 people for its operation. This machine is featured with variable sped operation which allows for easy adjustments of strength which the knives hit the eggs and their height. Its RZ-8 version is also available for handling even bigger jobs. 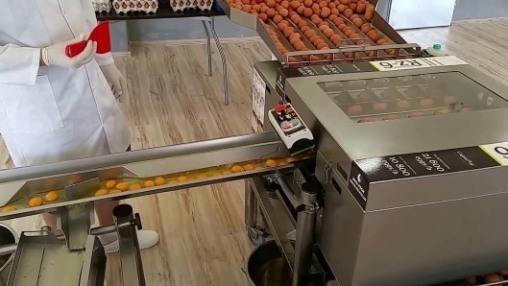 This automatic machine collects eggs from the tray by moving them over knives which break and flare shell. Along with this, white and yolk flow down together where the operator of the machine is waiting for the damaged egg yolks and remove them to the gutter drain. In this machine, egg white with yolk flow into the distributer who is responsible to separate white and yolk to substituted buckets. RZ-6 and its further versions are equipped with two operating modes which are efficient and fast. Its precision mode is being used to process material of poor quality as in these eggs, egg white is watery and yolk is very weak. The knives machines run in strict mode which is able to flare the shell slowly and gently so that it could flow from the broken shell. Its quick mode is designed in order to break the eggs of ordinarily quality eggs which have the gel and yolk is compact. The machine operates at maximum efficiency in this mode. 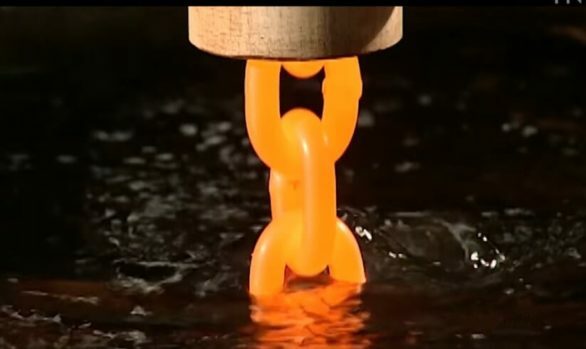 Over the most recent quite a while, 3D printing with plastics has progressed quickly. Presently, a group of analysts has demonstrated that it might before long be as simple and reasonable to utilize metals with 3D printing. Driven by an educator of mechanical building and materials science, the examination group utilized another way to deal with 3D print objects from the metallic glass – a generally new material more grounded than even the best metals, however with the malleability of plastic. Since metals, for the most part, don’t exist in an express that enables them to be promptly expelled, 3D printing of metals is as yet difficult and constrained. Mass metallic glasses (BMGs), in any case, can experience constant softening after warming, a marvel exhibit in thermoplastics yet not regular metals. 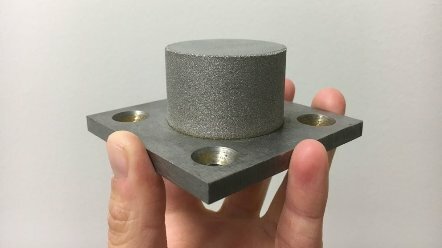 BMGs owe their properties to their one of kind nuclear structures: when metallic glasses cool from a fluid to a strong, their particles sink into an arbitrary course of action and don’t take shape the manner in which conventional metals do. The group, which likewise incorporates specialists from the organization, has demonstrated that BMGs can be utilized as a part of 3D printing to produce strong, high-quality metal segments under encompassing conditions like those in thermoplastic 3D printing. “It was notwithstanding astonishing to us how viable this procedure is once we had the handling conditions made sense of,” said the analyst. Added substance assembling of metal segments has been done already, utilizing profoundly confined warming and cementing of powdered metal, and molding it into the coveted structure. The procedure, in any case, is exorbitant and entangled – and frequently it doesn’t yield alluring properties. The analysts’ achievement enormously diminishes the expenses and assets required by abusing the softening conduct of BMGs. It could kill bargains in picking thermoplastic segments over metal segments for a scope of materials and designing applications. The group has concentrated on a very much portrayed and promptly accessible BMG material produced using zirconium, titanium, copper, nickel, and beryllium. The group has additionally demonstrated hypothetically that a more extensive scope of BMGs can be printed with this strategy. The analysts utilized shapeless poles of the 1-millimeter distance across and of 700 mm length. An expulsion calm of 460 degrees Celsius is utilized and an expulsion power of 10 to 1000 Newtons to constrain the mellowed filaments through a 0.5 mm breadth spout. While describing the printed BMG parts, the group was extremely astonished. They expected high quality in the parallel-to-the-printing introduction, however, was extremely amazed by the quality in the opposite introduction. The co-creator and ongoing graduate in the group said the capacity to 3D print metallic parts without lifting a finger as thermoplastics will reform the metal added substance producing field. Past prototyping, the achievable properties of the printed parts joined by the flexibility to some degree configuration makes this 3D printing innovation appropriate for creating superior segments for therapeutic, aviation, and shuttle applications. 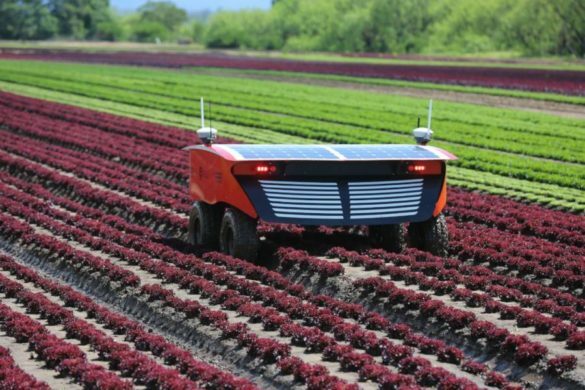 When it comes to the future of farming, the University of Sydney has mastered the craft by developing a series of robots, which can change our approach to agriculture. They are testing robotic arms with soft grippers, which can be used one day for automatic harvesting or automatic branch trimming. Their RIPPA solar powered robot can already cover large areas. It locates and exterminates weeds. Another advanced feature of it is that it is used for performing scans and detailed mapping. Using robots in the field of agriculture could be a good fit because there tend to be labor shortages with good agricultural skills. In addition, an aging farming workforce will not be able to do the kind of jobs the machines are designed to. Robots have potential to operate 24/7. They just require one-time investment and further they complete a work in half the time what humans require. Because they are designed with the help of advanced technology, therefore they carry a quality to attract a new generation of workers back to the land. The foldable 4 in 1 measuring spoon consist of 4 varieties of spoons that are ½ tbsp, 1 tbsp,11/2 tbsp and 2 tbsp. 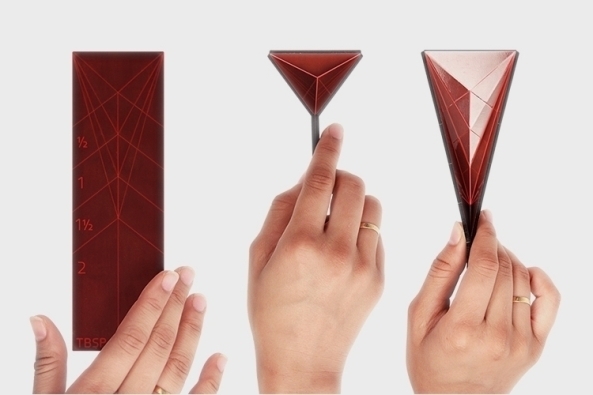 Rahul Agarwal made a prototype inspired by Japanese origami. They are considered as better replacement to the cutlery. He calls his redesigned measuring spoon polygons. So they came in fame with the name Polygon Measuring Spoon. It lied flat when they are not taken in use and gets folded in 4 different sizes when used, it goes from half a table spoon to two table spoons. The size of spoon depends on the position from where you hold it. The special feature which makes it different from other traditional spoons is: space it occupies as compared to normal spoons is very less; they are easy to carry and manage, we don’t need to buy 4 different spoons of 4 different sizes therefore it saves your money, it can handle both dry and wet ingredients. The hinges of these spoons are made up of TPR, which have the property of being able to flex. With the help of these spoons you can easily scoop, spread and wipe thick and sticky ingredient. Spoons are basic need of our kitchen then why not replace it with smart spoon. The process of making rod requires the extraction from American steel mills. Each coil is first inspected, labeled, and tracked through our factory via our data network. The rod will be cleaned and drawn into an exact wire diameter, then stored ahead of the chain making departments. A chain is produced in small groups of equipment, or cells. These cells include farmers, welders, calibrators, and sometimes twisters. The former receives the wire, stamps the grade and trace code on it, then cut it approximately to the length required of a chain link. This piece is formed into a link which interconnects with the previously formed link, creating a chain from the wire formed links. The chain then passes to the welder where each link is machine welded electrically with no filler by heating the edges of the wire ends and forging them together. The excess material is trimmed. After the chain is formed and welded it’s calibrated to ensure the consistency of the length of each link. This process also tests the strength of the chain, especially concentrating on the welded section. Samples of the welded chain are cut from the production run several times per shift to be tested to verify the integrity of the weld and to check physical properties. Data from each test is stored electronically for future reference. Some chains are twisted for use in cross chains that contact the road in tire chains. Once inspected, the chain is loaded into a storage box to await the next operation. From here, the chain will be proof tested automatically to twice its working load limit. These chains will be put in drums or cut for assembly into many products, primarily tow and binder chains and agricultural safety chains. Please note that all chains when used must not be loaded to more than their rated working load limit and only alloy chain should be used for overhead lifting. The new Nano Cure Tech clothing line from Surf Clothing Company Imperial Motion aims to change all of that with a jacket that actually repairs itself. All you have to do is remove the object, rub the fabric together for a few seconds, and watch as the hole completely disappears, while the material isn’t indestructible. It is considered as a great option for anyone who frequently finds holes in their clothes. If someone accidentally punctures the material, a user can just rub the fabric together for a few seconds. The nanocore tech material works due to the special coating on the fabric. The heat and friction generated from rubbing the material allow the fabric fibers to reconnect themselves. They also sell bags with the same material. 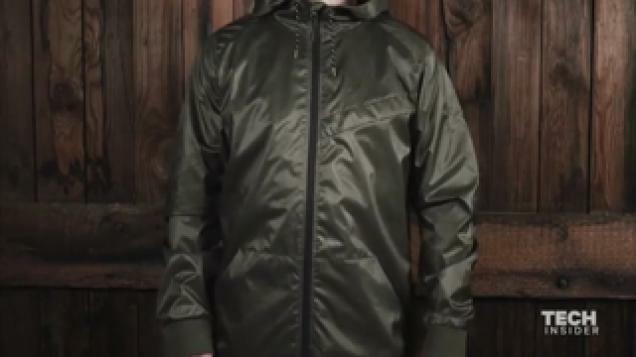 This jacket is available at an affordable price of 75 USD. The Welder jackets from the NCT Range from Imperial Motion are lightweight and have waterproof nylon ripstop with resealing and repairing capabilities. Forward-thinking apparel like this magnificent range from Imperial Motion is certainly the way in which fashion is heading and the sheer functionality, versatility, and robustness of the NCT Range from Imperial Motion has to be seen to be believed.